Do you live out of your suit case? Does your job demand that you be travelling atleast 15 days in a month? And is too much of travelling your excuse to skip a workout? Well if all of the above is true then it should not be so. There can be no excuse to skip workout unless of course you are ill or injured. Otherwise travelling regularly out of the city should not hamper your workouts. I believe that if you are travelling, you have more options to workout and be active. Whether you travel for work or want to see the world, jumping from one hotel room to the next, indulging in breakfast buffets and lounging in front of a TV while you raid the mini fridge are not the best ways to stay fit. More often than not excessive travelling does hamper normal routines. For instance if you have been working out in a gym, suddenly you might not have access to any equipment, if you have been running in your neighborhood there could be a situation where you no longer have a familiar path to follow and friends to accompany for a run and if you’re used to a good night’s sleep, suddenly you’re sleeping at odd hours in different time zones. We are creatures of habit hence we are bound to follow our daily routine as per our habit which we have set for ourself (wake up at a particular time that we have set, eat all meals on time, work out on time and go to sleep at the same time). However, while travelling our whole routing gets hampered. We might not be able to do everything at the said time that you have been following back home. But, nothing is impossible. Theer is a solution to every problem. 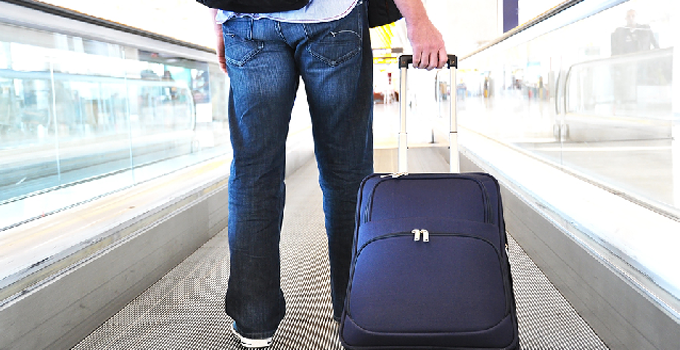 Use the Airport: Airport is a huge area to walk, utilize it and if you have time to board – try to walk as much as possible within the airport premises instead of sitting around and reading a book or listening to music or watching a movie. Site Seeing: Go for a walk – try walking EVERYWHERE. In a big city? If it’s nice out walk instead of taking a cab! Go for a jog around your new surroundings…just stay active. Beach Holidays: If you are planning a beach holiday, you have lots of options to do a workout. You can go for beach running, water sports. Water sports is a healthy sporting option that one can engage in. In water, you are forced to work harder and you are face to face with a wide range of challenges, which can present many more opportunities to boost your fitness regimen. Indeed, there are many water sport health benefits – no matter if you are kayaking, white river rafting, or even swimming. Too many people take holidays knowing they will get fat, become overweight, and lose a level of their fitness, yet they do nothing to combat it. So my advise to you would be that whether you have a gym or not, there is always something you can do to stay active. So follow some golden rules and you can enjoy your travelling be it for work or for a holiday without any guilt. Thats nice .. i think it will help me when i m out .. I can’t hear anihytng over the sound of how awesome this article is.